This is a super fun and yummy variation on the traditional hot dog. 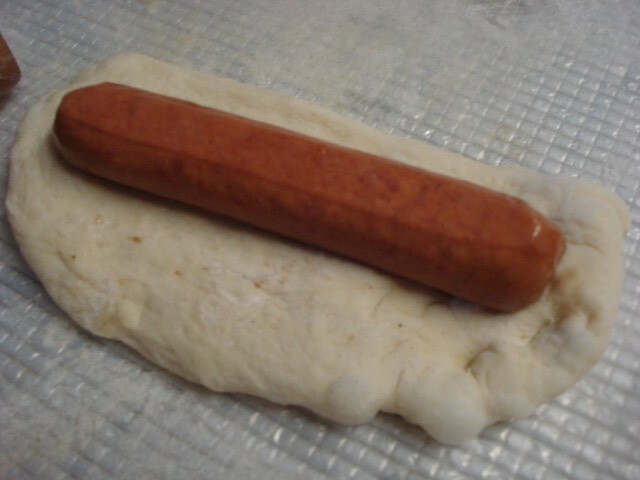 All you need is a pack of pre-made pizza dough and a pack of hot dogs. Serve with ketchup, mustard and relish to dunk in. Preheat your oven to 350 F. Give the oven a spritz of water to create a steam effect for baking. 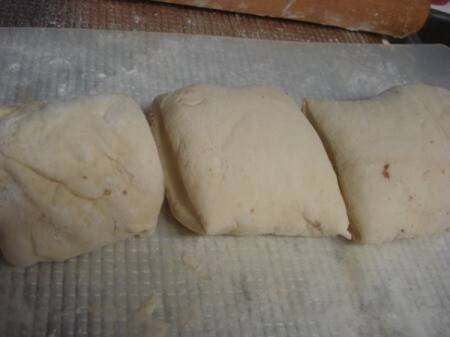 Start rolling out the dough on a floured surface and divide into 10 sections. 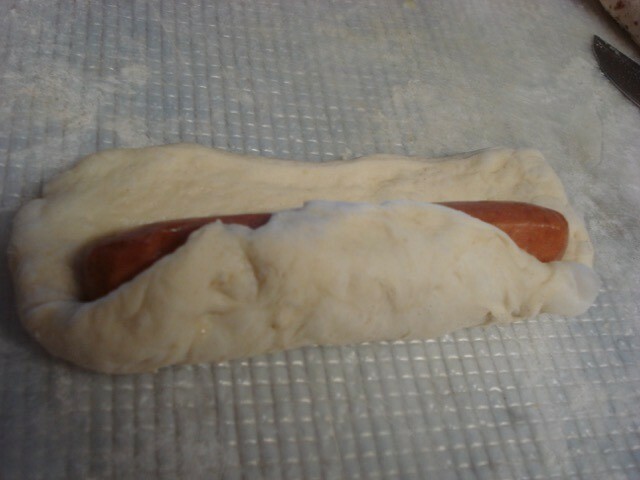 Roll out each section so it is a little taller and wider than your hot dogs. 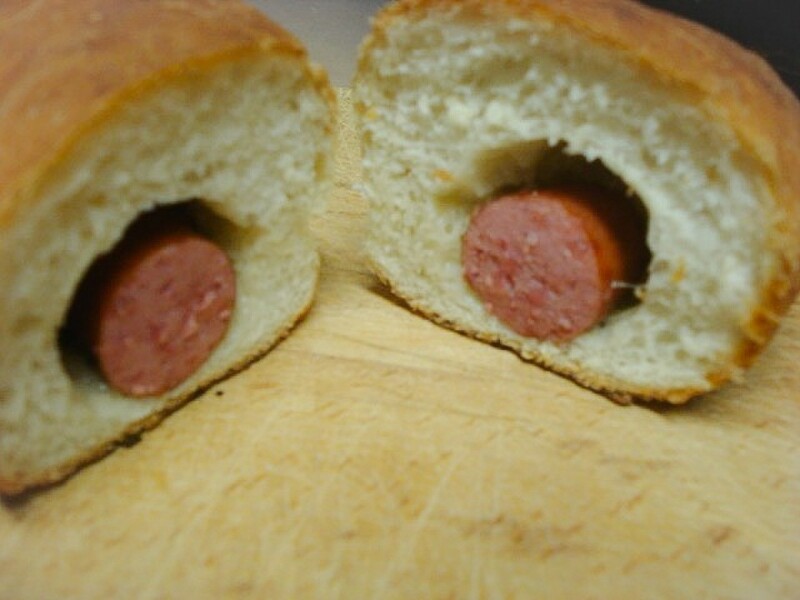 Place your dogs onto the rolled out sections. 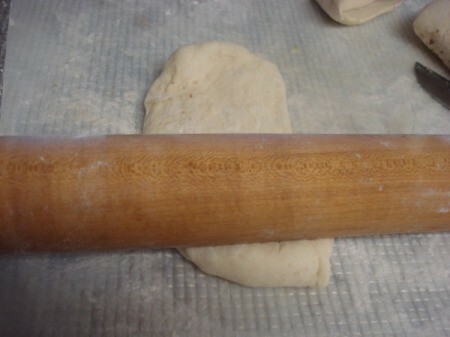 Wrap them with the dough and pinch the edges to close tight. 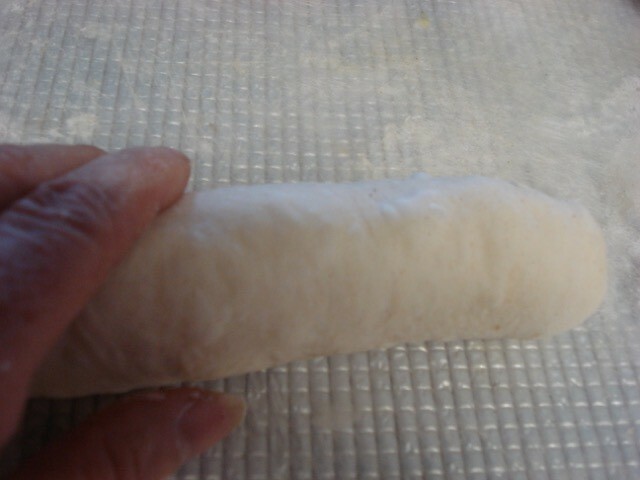 Roll it on the floured work surface to create a nice, even shape. 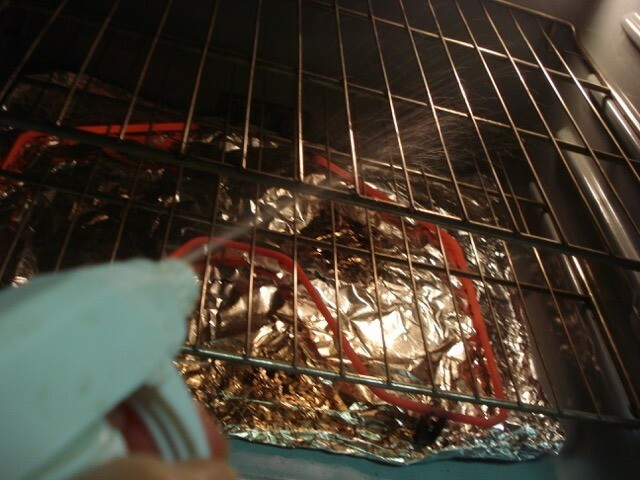 Bake in preheated oven for about 20 minutes. Serve with condiments. We discovered these at our favorite carry-out shop. 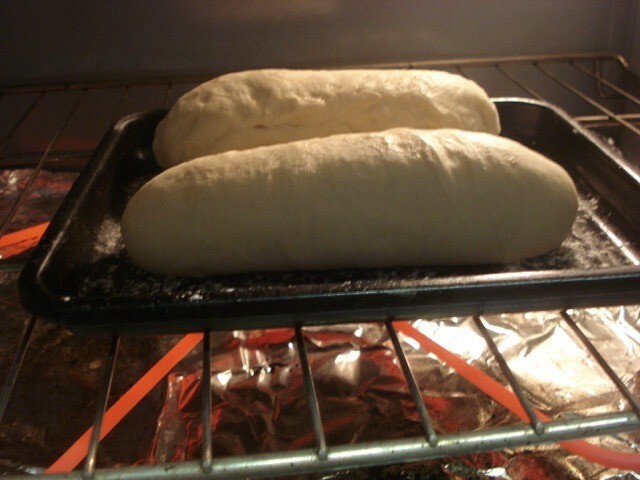 They were wonderful with the pizza dough.